Put mapping in the hands of your field work force to improve the accuracy and currency of your spatial data and make more timely and informed decisions. From damage reports and service requests to places of historical interest, create and edit the data that matters most to your organization. Collect and update information in the field and log your current location. Use Collector for ArcGIS online or offline—regardless of your network availability. 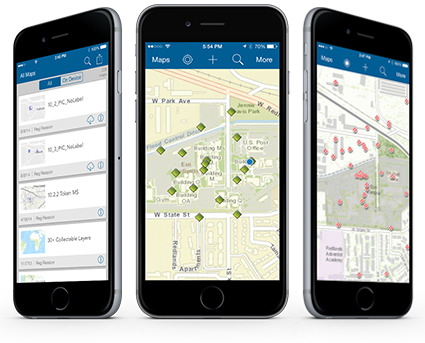 Collector is included with ArcGIS and available on iOS, Android, and high-accuracy devices. To unlock the app's full capabilities, you'll need an ArcGIS Online subscription. Don't have one? Sign up for a free trial.